Coupey, founding co-editor of The Georgia Straight, was intrigued and proposed starting a magazine featuring literary and visual art. 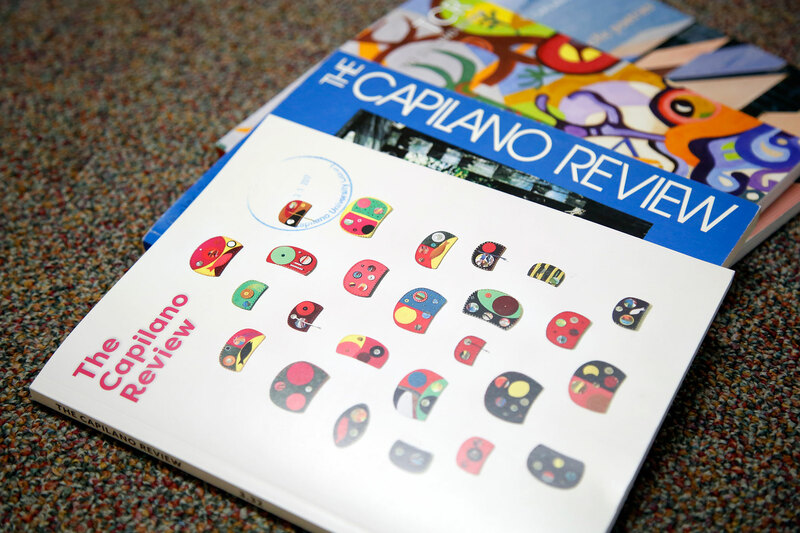 The budget for The Capilano Review (TCR), which launched in 1972, was $500—half from the University and half from the Student Society, plus whatever they could drum up in advertising sales. The first issue featured work by Earl Birney, George Bowering, Phyllis Webb and Soviet superstars Evgenii Yevtushenko and Andrei Voznesensky, among others. The editorial board, which included a faculty and student editor for each genre, was “wonderful” and made for lively board meetings, says Coupey. After 10 issues, Schermbrucker took over the editor’s role, followed by other talented editors over the years. TCR has published some of the country’s most accomplished writers—from Michael Ondaatje and Margaret Atwood in the early years to Lisa Robertson and Jordan Abel more recently—though many were little-known when they first appeared in the magazine. It has also enriched the Vancouver writing and arts scene, hosting readings, lectures, workshops and writers-in-residence over the years. “The presence of the Review at the College attracted alive and alert students, and many of them became the audience for readings in the rest of the city,” recalls Coupey. To locate and encourage young experimental writers and artists and publish them alongside the established writers and artists who they esteem. Although TCR and CapU parted ways in 2015, the award-winning journal continues to thrive in its new location in Vancouver and remains a highlight in CapU’s history. Quotes in this story are reprinted with permission from The Capilano Review (Winter/Spring 2007 3.1 and 3.2). For the full text, see The Early Days of The Capilano Review (p. 105-106) by Crawford Kilian and TCR Editors / Series 1 & 2: Talking History (p. 8-27).